The Bryant collection is a free spirited, late mid-century take on classic modernism. 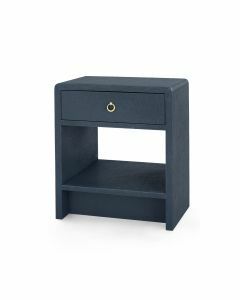 The design features large, fitted drawers and an inset base, which creates an interesting interplay between solid and floating form. Distinctive, soft corners waterfall light onto the all-over linen finish. Bryant designs deliver clarity of function and storage with swagger. The item features stained interior with soft closing glides and antique bronze finish ring pull. 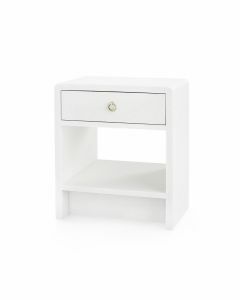 The side table measures 30.5’’W x 20.5’’D x 28.5’’H. Click images for greater details.